How can I enable or change my email notifications? 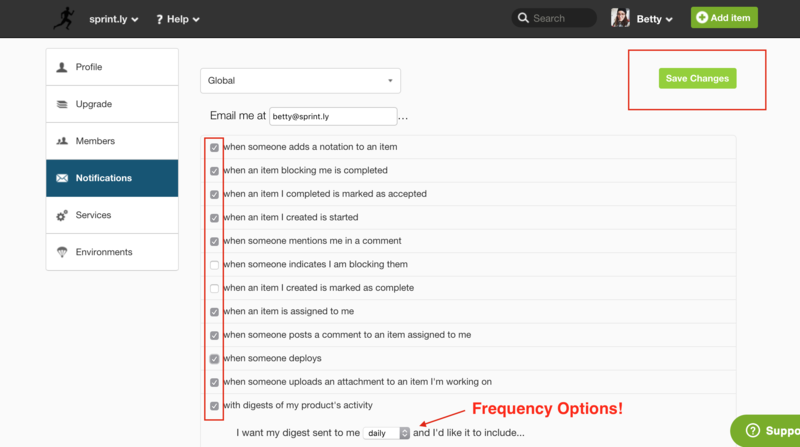 Sprintly offers all users a number of email notifications options you can turn on or off easily. Click your user icon and then choose Notifications. On the next page, uncheck notifications you don't want to receive and click Save Changes. You may make these changes at a global or per-product level using the product selector drop down. Click Save Changes before switching between global options and per-product options. These digest options can be set at a global or per-product basis.